BORN in Rutland Street, the son of a railway porter, Percy attended St Anne’s and Boy’s Central schools. 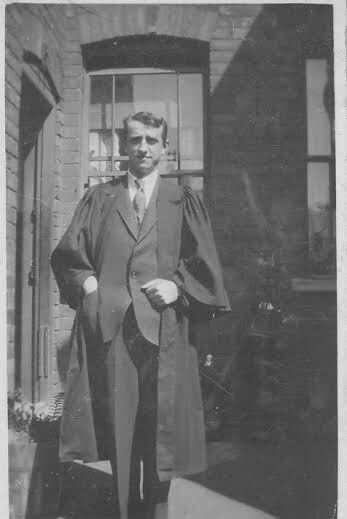 He left school at the age of 14 and worked in Hornsby’s offices until 1926 when, after attending a number of WEA courses, he undertook a three-year degree course in economics at University College, Nottingham. At the end of the course he took the London University Bachelor of Science (Economics) Degree examination which he passed with 1st Class Honours. He also received the Gladstone Prize for being the student who came top of the list in the exam. He was then awarded a bursary for three years to carry out research at Cambridge University after which he was awarded a Master of Science Degree in Economics. Between 1934 and 1942 he held various academic posts including a year lecturing at University College, London in Economics, covering for Hugh Gaitskell the future leader of the Labour Party. In 1938 he wrote a book on “National Self-Sufficiency” which sold over 10,000 copies. After the Second World War he joined the Civil Service working for the Air Ministry, where he remained until he retired in 1965. He died the following year.